As we age, our skin starts to loosen its elasticity due to collagen loss. In turn, skin starts to sag and loose its tightness, and this results in fine lines and wrinkles. This loss of collagen is due to many factors with the biggest one being age, but there are other factors to consider such as genes, environmental factors, diet, and personal care. Just like with anything, if you don’t take care of your skin, it won’t really age gracefully! These 10 effective home remedies on how to tighten skin are all natural, and over time, will help skin bounce back by tightening in and reversing the signs of aging. Use these skin tightening home remedies to get rid of wrinkles and fine lines but make sure you’re vigilant about it! The more you stick to a routine, the faster and more effective it will be! So choose any one of these 10 natural ingredients and apply them nightly to your skin. How to Tighten Skin: 10 Effective Home Remedies to Start Right Now! Coconut oil is one of the most widely used oils to firm up and tighten skin. Simply rub a small amount of organic, extra virgin coconut oil directly onto skin before bed. Leave on overnight and repeat every day. Massage warm mustard oil into skin every night before bed. Mustard oil helps to tighten skin but also leaves it with a beautiful glow and won’t clog pores. Use every night before bed. Rosemary essential oil improves blood circulation which in turn encourages collagen growth and tightens skin. Rich in squalene and carnosol, rosemary slows down the aging process. Use three times a week and massage into the skin. Almond oil is rich in vitamin E and reduces saggy skin and improves elasticity. Massage gently into face in slow, circular motions every night before bedtime. 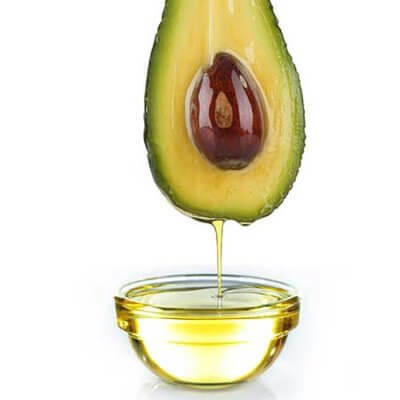 Avocado oil boosts collagen synthesis and improves skin’s elasticity. The oil contains vitamins A, B, and E helping to improve circulation and provide moisture. Vitamin E is one of the best oils to use to prevent saggy skin. Loaded with vitamins, vitamin E oil is also packed full of antioxidants. Apply to skin every night before bed. Fish oil is packed full of omega fatty acids that work to nourish and hydrate the skin. It improves blood circulation and boosts cell renewal capacity. Rub onto skin nightly before bed. Olive oil is one of the best oils to seal is moisture, which aging and sagging skin really need! Massage gently into face every night before bed. Primrose oil contains gamma-linolenic acid (GLA) which helps in collagen synthesis and greatly reduces sagging skin, fine lines, and wrinkles. Apply to skin every night before bed. Argan oil has been used for hundreds of years to reduce wrinkles and fine lines due to its great hydrating properties. Apply every night before bed. Thank you for the wonderful recipe and all the article.